Tag Archives for " Business Books "
I had a chance to visit with David Meerman Scott, author of The New Rules of Marketing and PR, on a recent episode of the Duct Tape Marketing podcast. The topic of our chat was his follow-up book, World Wide Rave: Creating Triggers that Get Millions of People to Spread Your Ideas and Share Your Stories. David shares some insights into what viral marketing is and has become and why he didn’t name this book for it. The book is peppered nicely with 37 real-life examples, mostly of small businesses you may not have heard of. Personally I think this makes the book a very practical read and brings the points he makes to life in an effective way. 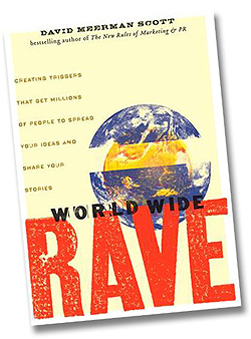 Highly recommend World Wide Rave for any business trying to wrap their brains around ways to get people talking about your business in authentic and self-motivated ways. 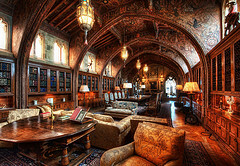 As part of my work as a publisher and podcaster I get to read lots of books and interview some great authors. The following three books somehow made my top three list for the year, although ask me on another day and the list could change. Predictably Irrational – Dan Ariely – Gets at the heart of why we do what we do. Fascinating marketing stuff inside this book. 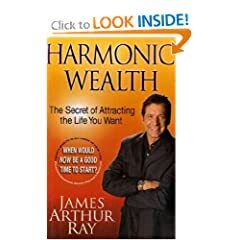 Harmonic Wealth – James Aurthur Ray – Good approach to the art of attracting wealth. So, what were your favorite business books this year. Any surprises? 1	It's a Duct Tape Thing? A review of Duct Tape Marketing courtesy of Philadelphia speaker David Newman – dang, I was just in Philly, sorry David. This is a video that David posted on the Duct Tape Marketing Workbench and you can post your audios and videos there too! The future belongs to those who lead. We have always had tribes – churches, schools, community groups, but they’ve been organized around place. Today we have tribes organized around ideas and the technology to tie those ideas together like never before – but who leads a community like that? How do you lead a community like that? That’s the message of Seth Godin’s incredible new book, Tribes. 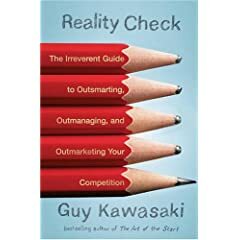 It’s an important book and I believe that it’s “required reading” for every entrepreneur and business professional who wants to be remarkable. Join me live on Friday, Oct 24 at 1pm Eastern Time as Seth Godin, Dave Lakhani and I discuss this very relevant topic. Dave Lakhani, is the bestselling author of Persuasion and his new book, Subliminal Persuasion. This should be a good time. Come learn why more profitable, powerful and productive to be a leader than ever before! Reserve your seat for the call. Can’t make the live call? Not to worry. Go ahead and register and you’ll receive a recording link when the call is over. Stephen M.R. Covey joined me to talk about trust for the August session of the Duct Tape Marketing Coaching Excellence Series. Trust is such a big issue in business and, in fact, a core component of my definition of marketing – getting someone who has a need to know, like and trust you. The need for trust is such an obvious notion but I think many people take a limited view of what it really means. Covey talks about the need to both earn and give trust as equal parts of the same concept. During our chat he share a story about a street vendor who was frustrated by the fact that he could only serve a finite number of customers because he spent so much time taking money and making change. So, as a test, he started allow the customer to pay and make change on their own. He discovered that not only could he serve many more customers over lunch, people were rarely dishonest and, in fact, tips were higher. By extending trust he built his own.